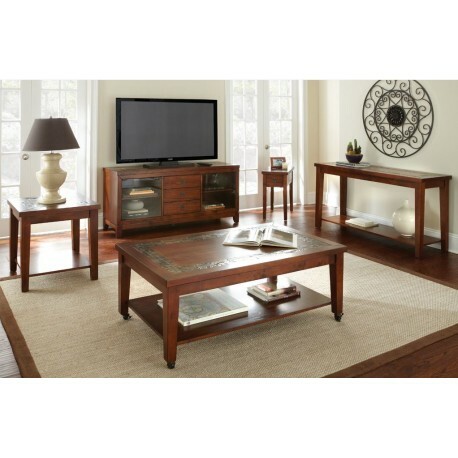 The Davenport occasional table collection features simple transitional styling with ceramic inlaid tops. The tables are finished in a rich medium oak. Collection pieces include a rectangular cocktail table with casters, end table, chair side table, and a TV console. 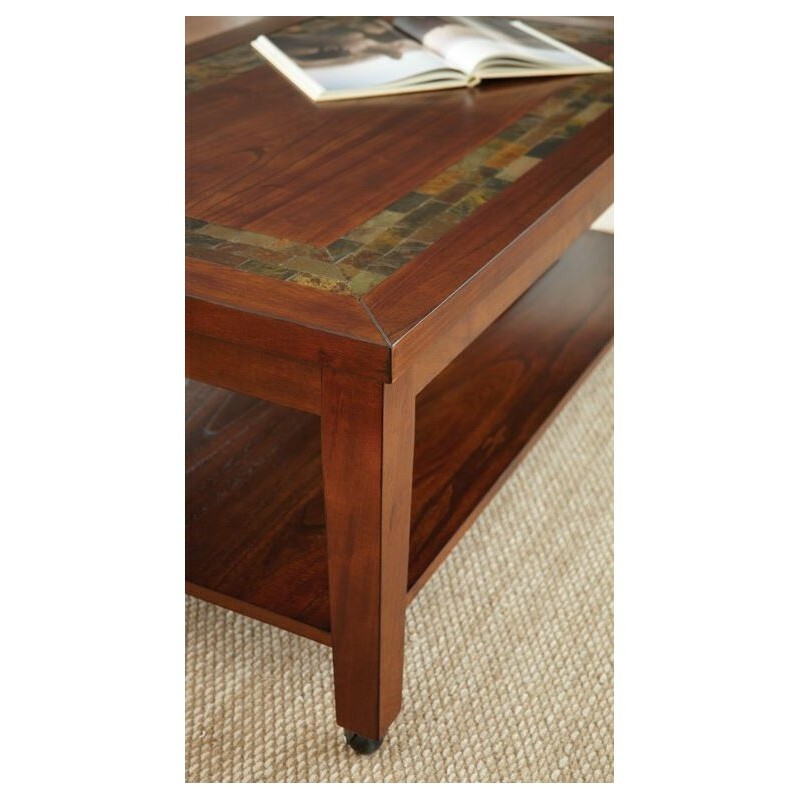 DA150C Davenport Slate Cocktail Table w/Locking Casters, 50"x30"x20"
DA150E Davenport Slate End Table 24"x24"x24"
DA200E Davenport Chairside End Table 24"x13"x24"
DA150S Davenport Slate Sofa Table 56"x19"x30"
DA150TV Davenport TV Stand, 60"x18"x28"